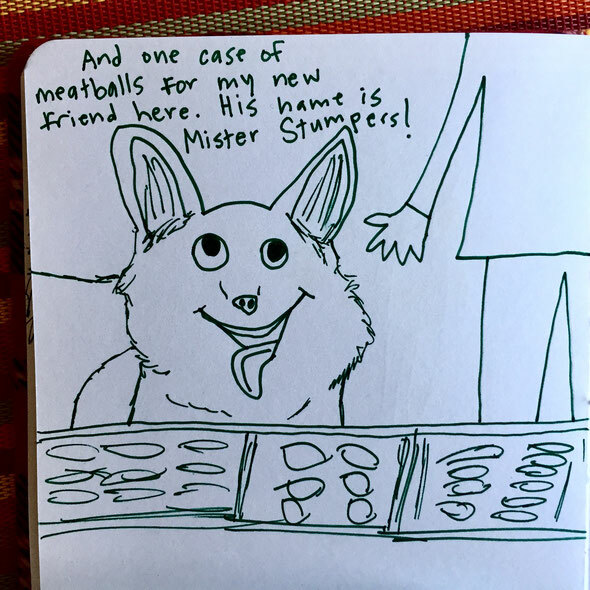 Mister Stumpers - megandraws's JimdoPage! Today I went to the bank to deposit a check and create a new account. The purpose is to have our wedding fund in it's own designated place. On the way there, I thought for a bit about making a detour to the burbs to pick up a corgi. All the good breeders charge a pretty penny, but this check would cover it. 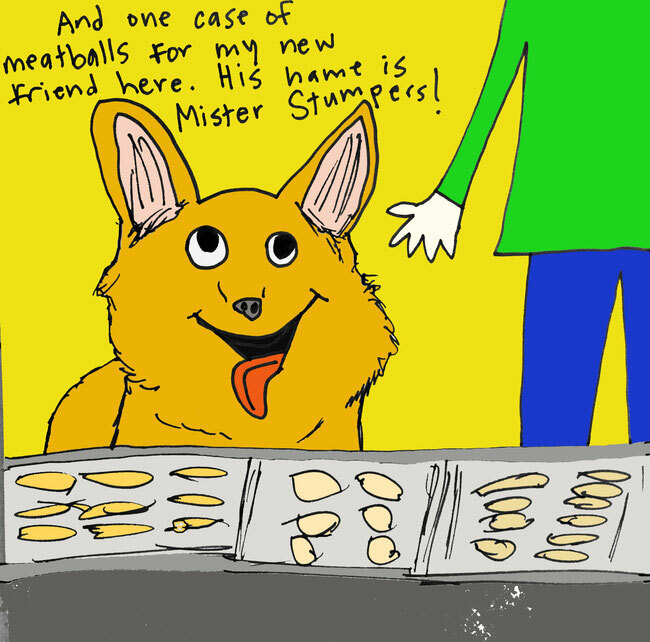 Then, on the way back to the city with my new buddy (let's call him Mr. Stumpers) we'd stop by the Italian Market. First Talluto's and then P&S Pasta- and get the best homemade ravioli the remaining money could buy. Maybe even some meatballs and mozzarella balls too. Why not! As the El pulled to a stop and I shook my head out of the pasta corgi daydream, I headed to the bank and put the funds in the right place. It'll be a fun party! Corgi TBD.